96% of Californians know about Covered California. 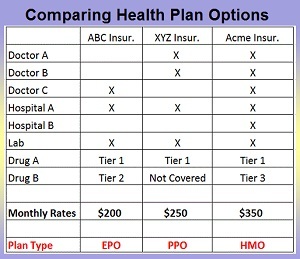 SACRAMENTO, Calif. — Covered California released a study on Thursday that shows the strength of the exchange’s brand as well as the continued importance of making sure consumers are aware of the financial help that is available to make health insurance more affordable. The study, “A Quantitative Study on Current Attitudes of Uninsured and Select Insured Californians Toward Health Insurance Coverage,” was conducted to assess and track consumer perceptions of health insurance in the changing political environment and help Covered California prepare its marketing messages for the upcoming open-enrollment period, which begins Nov. 1 and will go through Jan. 31 in California. An overwhelming majority of consumers, 96 percent, has heard of both Covered California and the Affordable Care Act (ACA). The vast majority of those currently insured through Covered California plan to renew their coverage: 88 percent of current enrollees say they intend to renew their coverage, including 94 percent of those who receive financial help and 70 percent of those who do not receive any financial help. While the exchange is well-known, 73 percent of the uninsured — who would be eligible for financial help — either do not know they qualify for assistance, or wrongly believe they are not eligible for assistance. Knowledge of being eligible for financial help is vital because uninsured consumers are twice as likely (71 percent) to plan to enroll in Covered California as those who expect not be eligible for financial help or are unsure (34 percent). As of June 2016, the average subsidy-eligible enrollee received a subsidy of $300 per month to go toward their policy. Nearly nine out of every 10 Covered California members — more than 1.2 million Californians — receive some level of financial help. The study, which was conducted between June 9, 2017, and June 30, 2017, included focus-group testing and an online survey of 500 respondents. It is the second in a series of surveys conducted by Greenberg Strategy, an Emeryville-based research and strategy consultancy with clients around the world. The complete study can be found here: http://www.coveredca.com/PDFs/October_2017_Covered_California_Sentiment_Survey_FINAL.pdf.